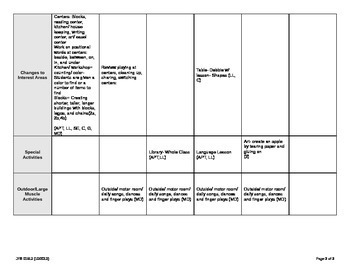 This is a lesson plan for Unit 1. 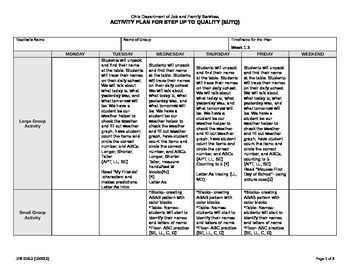 This includes lesson plans for weeks 1, 2, 3, and 4 of the Big Day for PreK, using the Ohio SUTQ lesson format. 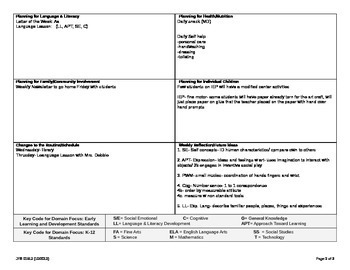 This download has the standards already in it and can be edited to fit your classroom and own lesson plans. My goal was to help others in this process and try to make it a little bit easier!